Since it's confirmed that the Apple's developer conference will be held in June the 13-17th which is very close at hand. 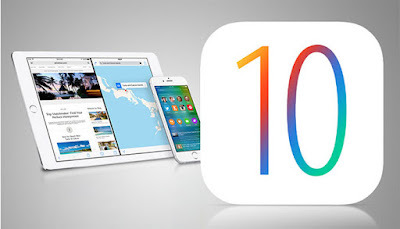 More features are been rumored to arrive on the next Apple's operating system, iOS 10. Some parts of the iOS update will ordinarily come to fix bugs and few others will roll in with entirely new features on iOS 10 for Apple devices. To begin with, we will have a new look on Apple Music, a bunch of App Store improvements, Apple Pay updates and exciting new features for Siri, Apple News and HomeKit. Below are few features or things to look out for in iOS 10 once it arrives on your various iPhones and iPads. Most users were confirmed to be anticipating for a way to hide stock Apps from Home Screen. This will likely be possible on iOS 10. Although, not everyone may use this though, more beautiful apps are coming, which are not really worth hiding. For HomeKit, Apple is reportedly planning on launching a standalone app for it, removing the need to access it from within Siri and other third-party applications that manage accessories using it. The App store is going through some improvements on its search visibility and discovery features. It's also rumored that there will be a revamp on browsing the App store and paid search may likely be rolled in too. Revamp is also coming to Apple Music on iOS 10 despite it had only existed for only a year. The UI of the App had been said it will likely get a redesign, and stick to only mostly black and white, although many users seem to be complaining about the coming redesign, among these users are the 13-million paid subscribers. This was due to the fact that iTunes seems to be struggling with the market for a while now. Apple is taking Siri to Mac. This feature will be one of the flagship features to the line of Mac laptops that are running OS X 10. 12. More rumors say Apple will have a Siri SDK ready at next month’s WWDC. And it sounds like, very much needed improvements for Siri on iOS 10 and for the Mac could be the focus of the event. Sometime last month, it was quite embarrassing for Apple as FBI went ahead to use a third-party to break into an iPhone not so long ago, now it's been reported that Apple is working tirelessly to improve its security systems for its users and their Apple prodcucts and gadgets. The new security features for iOS 10 will be announced at the WWDC event 2016. This new innovation from Apple had proved successful after its release for a while, we even shared about their arriving Canada weeks ago. Apple is reportedly looking for ways to expand Apple Pay's potentials by bringing in new features that could include ability to use the App for ATM withdrawals, and also further expansion into more countries. More details about these new features and plans for iOS 10 will be announced by Appl at the WWDC 2016 event.